“I have worked with AA Turner Builders on several Department of Human projects and have always been impressed with Alan’s thoroughness during the planning stages and meticulous attention to detail once the actual construction began. 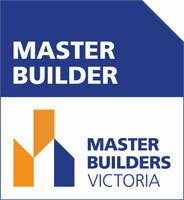 “I have recently inspected the above building and found it to be a credit to the builder, AA Turner Builders. “I recently engaged AA Turner Builders to construct my double-storey dwelling in Thornbury and have no hesitation in recommending his fine workmanship and eye for detail. Alan conducted himself in a most professional manner at all times and was also available to discuss amendments to the project after hours. “During my business dealings with Alan Turner, I have always found him to be professionally prepared, organised and an exemplary example to his colleagues. He was able to organise suitable tradespeople to attend my school who followed his directions and organisational protocols at all times. Alan and his team were co-operative with teaching staff and respectful and caring of the students at all times. “I have been associated with Alan Turner since his company was awarded the contract to build a new Community Residential Unit for the Department of Human Services. During the process of these works, the professional presentation as well as the quality of the works was greatly appreciated. AA Turner Builders has proved to be a diligent and committed operation, ever willing to provide a high level of service and workmanship and the Department’s requirements were always accommodated without delay. “AA Turner Builders was awarded a tender to repair, refurbish or replace 1930s wooden windows in the North Building and 1960s windows in our South Building. “I recently had the pleasure of working with AA Turner Builders on the construction of a public housing development in Ashwood. Together we liaised with the Office of Housing Project Manager Ashraf Rahman and worked together to minimise issues and achieve the result the Department was looking for. I met with Alan onsite on a monthly basis to discuss the build’s progress and always found him to be personable, professional and ready to accommodate the inevitable additional works that were identified as the project moved forward. I would issue site instructions which Alan would then price and, if approved, go ahead and incorporate. The additional works did not delay the project and the orginal completion was achieved. “We recently used AA Turner Builders to construct our new multi-purpose hall/library along with extensive refurbishment to our administration building. We were extremely happy with their professionalism and workmanship. Alan Turner met with us to discuss all the contract details and all significant timelines were met. We found their tradesman friendly and polite throughout the construction period. AA Turner Builders protected our existing school whilst the construction was in progress and were very sensitive to minimising the school operation”. “AA Turner Builders has in the past undertaken community building projects on behalf of Moreland City Council, the most recent being the extension to Attwater Pavilion, Pascoe Vale. “I have been associated with AA Turner Builders since they were awarded the contract, valued at $115,000, to upgrade an existing residence in Hawthorn into a Community Centre. During this time, I have found their construction work to be efficient and of good quality. The business was conducted in a pleasant manner and the Community Centre’s committee’s requirements were always accommodated without delay. “With the redevelopment of Holy Trinity Church virtually completed for some months, we have had the opportunity of not only seeing how the new complex works but enjoying the new facilities. The Parish as a whole is happy in extreme and this is crucial to all who were involved in bringing the project to a conclusion. “I have known AA Turner Builders for more than 10 years. They have god experience and an outstanding track record in both the education and commercial construction sectors. For the recent VicRoads project Alan Turner was extremely conscientious regarding the quality of workmanship, safety of his employees and sub-contractors and adherence to the construction schedule. Every member of Alan’s construction team took this project to heart and provided excellent professional results. All works were completed successfully on time and to a high quality standard. “We came to you after getting the run around from other builders and you delivered a wonderful product on time and on budget.